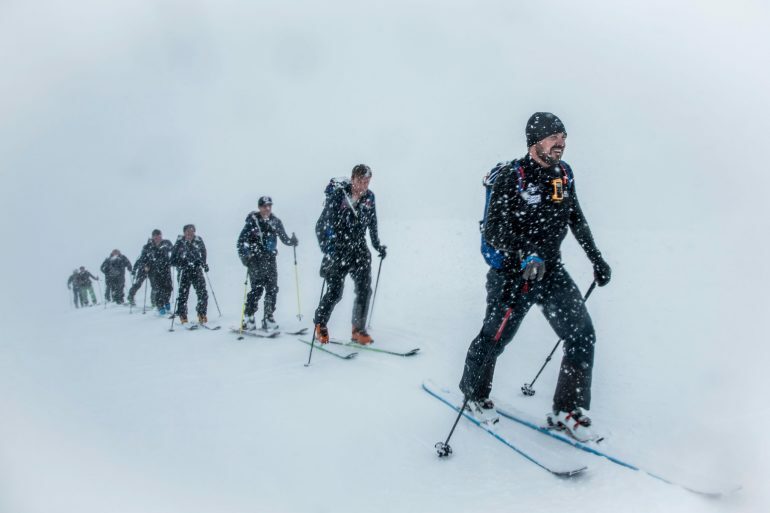 When I was first approached about taking part in the Third Ascent of Everest in the Alps, a 4-day winter endurance challenge that involves climbing the height of Everest on skis, I’ll admit that I was a little overwhelmed by the ‘epicness’ of the event. Not only could my ski touring experience be summarised on the back of a postage stamp, but my wife was about to have our second child in January, so I knew that my ability to properly train to climb the height of Mount Everest on skis was going to be somewhat ‘limited’. 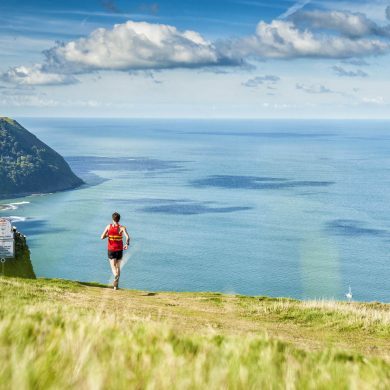 But as I researched into the event, learnt about the other people taking part, read about the worthy cause, The Brain Tumour Charity, looked at photos of the stunning Swiss Alps and watched a few of the films from the previous ‘Ascents’ as they refer to it, I was sold. 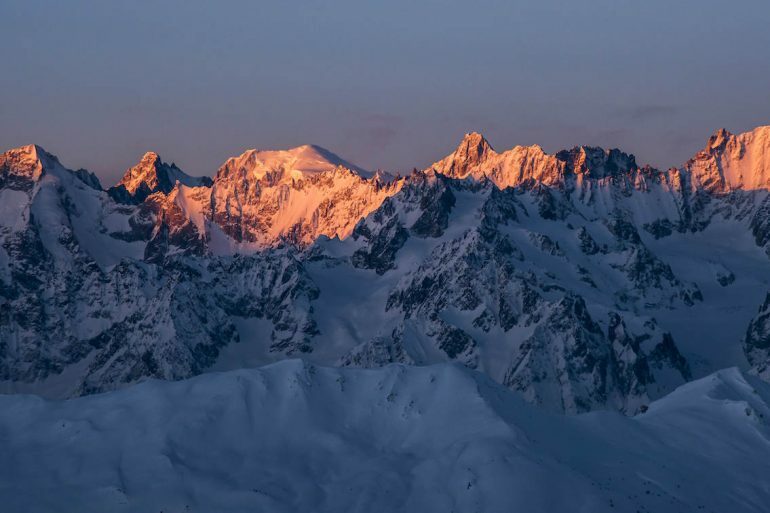 And then the months whizzed by and I’m in Verbier, it’s 6am and under the light of my head torch, I’m clipping into my ski touring bindings and about to skin up my first meter of 8848. In an instant, all the fears melted away as I became absorbed by the moment. I’m no longer alone. I’m part of a team. 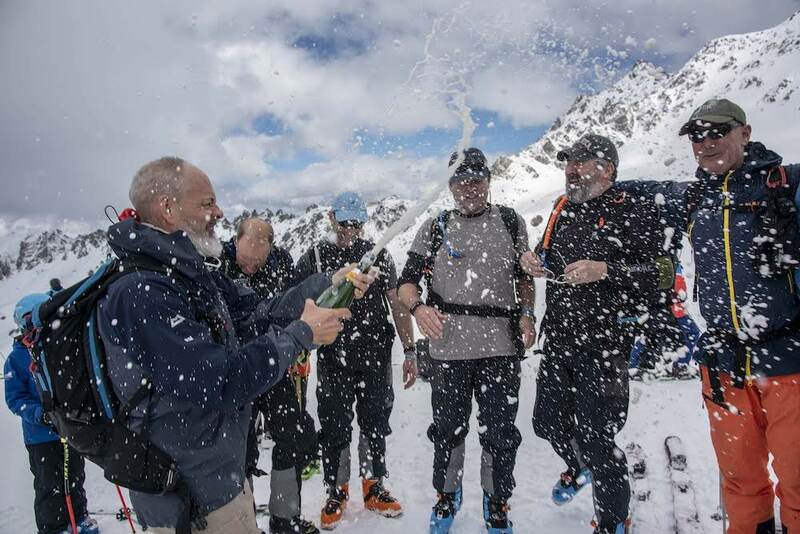 A further four days later, I’m holding a bottle of champagne and hugging each of the 15 members of the Everest in the Alps teams, high-fiving the inspirational guides who’d safely led us up the mountain, whilst soaking in the views of the Swiss Alps, savouring the moment like it might disappear. 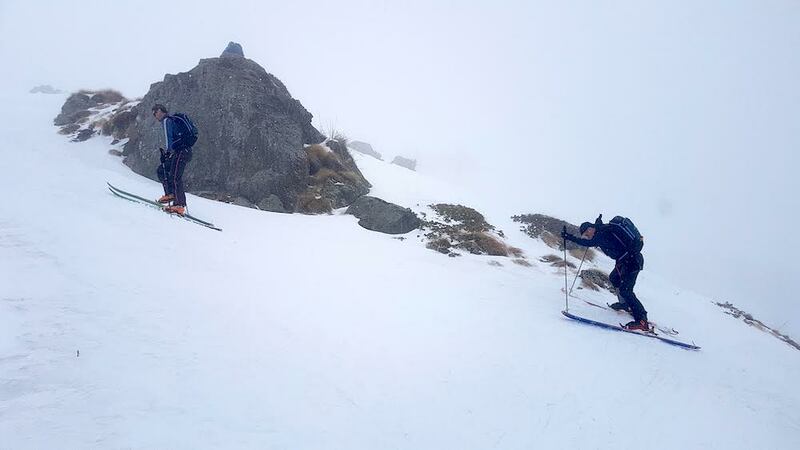 I’ve now discovered a new love of ski touring, made some amazing friends and become motivated to become a hero to my children, just like my teammates have done to theirs. As we skinned our way up the mountains, I chatted with my fellow team mates. We talked about our childhoods, our motivations for being here, the training in the build up to the event. I was conscious that I’m no stranger to endurance events, but for many of participants, Everest in the Alps was their first big challenge. And even though they may have trained individually, they were as one. I watched in admiration as they encouraged each other. Whether it was through jokes, hugs or advice, they really worked as a team. They all knew that it didn’t matter how strong you were, everyone has a moment when you struggle. But the camaraderie amongst the participants is what gets you through an event of this nature. Day 3 is over. And I’m knackered. But as we arrived at the refuge tonight after an epic day, this happened. And then I said thank you. Feeling very blessed. Boy-o-boy were they sunsets amazing. Each day, we would finish between 5pm and 6pm – just when the sun was setting. As we approached the 2500m high mountain refuge of Cabane du Mont Fort, I had to keep turning around to look at the view, which invariably was behind me. I snapped away like a Japanese tourist, whilst simultaneously telling myself that I should just soak the rays and keep them in my memory. So I did on the other evenings, but I couldn’t help but share the photo above. It was taken at the end of the third day – which for me was the toughest. As I stood gazing below me, following with my finger the route which we’d just come from, I felt a renewed sense of purpose. And strength. How could I not feel inspired to complete this challenge. Day 2 of Everest in the Alps has begun! What a view!! A small disclaimer: I live in the foothills of the French Pyrenees, so I’ll be the first to admit that I’m fairly blessed when it comes to views. And perhaps a little spoilt. But even so, when you’re smack in the middle of the largest mountain range in Europe, staring at 4000m peaks glistening with snow, it’s impossible to feel a little bit in awe. Indeed, I’ve been a firm believer for many years, that if you’re going to take on an impossibly difficult challenge, then you should do it somewhere beautiful. And it doesn’t get much better than the Swiss Alps. On the first day, there wasn’t a cloud in the sky – it was beyond stunning. And hot. Then, by the third day, we awoke to thick fog and couldn’t see a thing. It was a white out. But throughout the day, the clouds would clear for a brief moment, and we’d be rewarded with the view in the photo above. All you can do is simply breathe a sigh of relief and say thank you. When I served in the British Army, I often heard people say that banter and duct tape is what holds a team together. It’s so true. 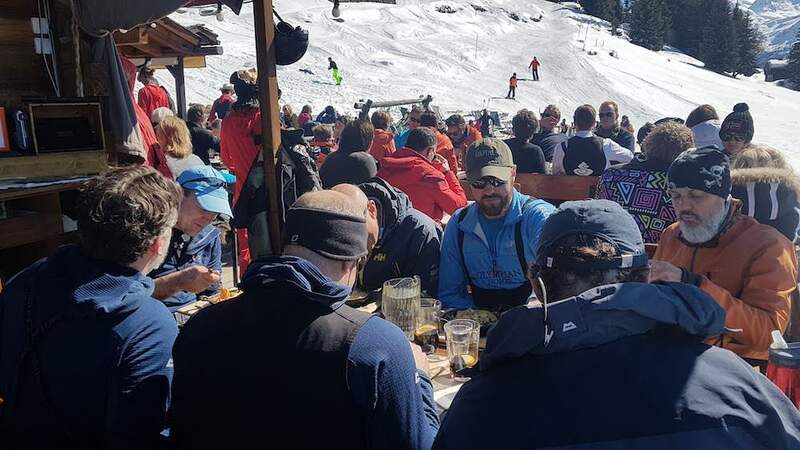 Even a bunch of civilians struggling up a ridiculously steep piste, literally digging their heals in to help gain traction on their skins before sliding back down, even then someone will crack a joke. Or take the piss out of you – in a nice way of course. It really was as though I was back in the Army. The camaraderie that I mention above – it’s all there in a spades. And the duct tape, not only comes in handy for keeping things together when they go wrong, but you can write inspirational quotes on it and stick them on your skis – just to remind yourself of why they’re here. Because if one thing is certain, there will be moments when it gets tough. And you might want to quit. But then someone pulls you out of your pain cave with a joke that brings a smile to your face. It reminds us that all the pain and suffering we put ourselves through – it’s all optional!! And self inflicted! Raising money for charity is no small task: The countless letters asking for sponsorship and support, the relentless social media updates, the custom t-shirts you might make for your finish line pose… But it’s so much easier when you’re raising money for a cause close to your heart. Everest in the Alps is the brain child of a man called Rob Ritchie. When he and his wife, Tanya, discovered that their five-year-old son, Toby, had a low grade brain tumour they initially felt helpless. But then they decided they could help. 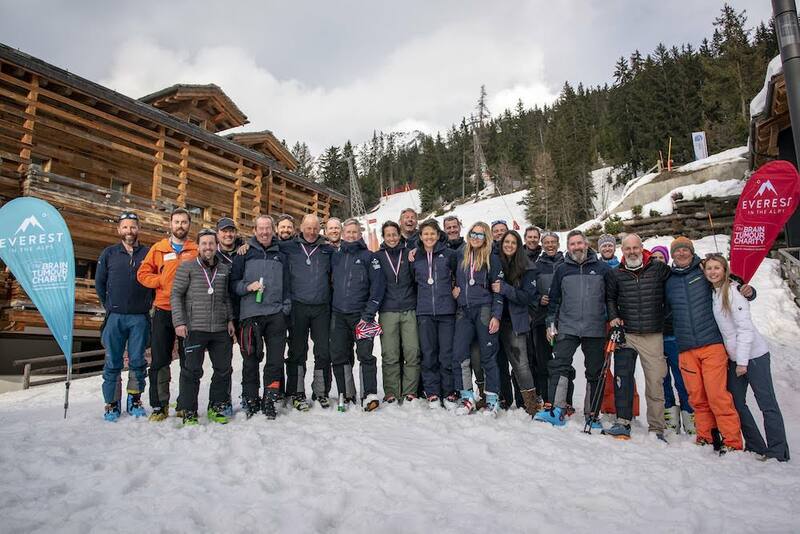 And so they put on an event to help raise money for the Brain Tumour Charity and in the process, create The Everest Centre, a bespoke research facility that is looking to increase the survival rate amongst children with brain tumours. As a parent, I can only begin to understand the emotions that must have run through the Ritchie Family when they received the news that Toby, who is just one of 26,000 other children globally, had been diagnosed with this life threatening cancer. 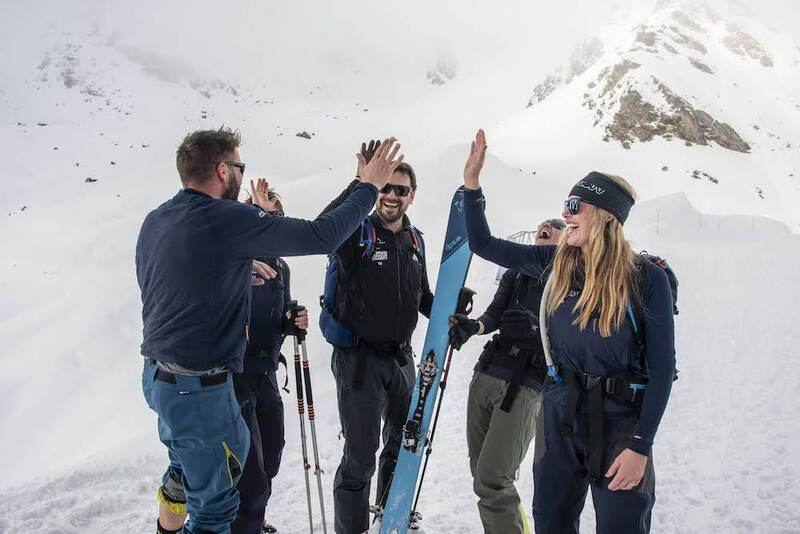 But having interviewed and spoken with every single member of the Everest in the Alps team – their dedication to raise money for the The Everest Centre is truly inspirational. They believe in what they’re doing. They’ve seen first hand the effect brain tumours have on children. And they want to help! I’ve mentioned the banter and the camaraderie, but I’ve not spoken about how bloody awesome the team members were. What struck me, was how they were all genuinely good people. I guess I shouldn’t have been surprised considering how noble the cause, but there were no airs or graces or ‘check out how brilliant I am’. They are all mums and dads who wanted to do something epic – both to raise money for the Brain Tumour Charity and their respective charities. Or at the very least inspire their own kids. 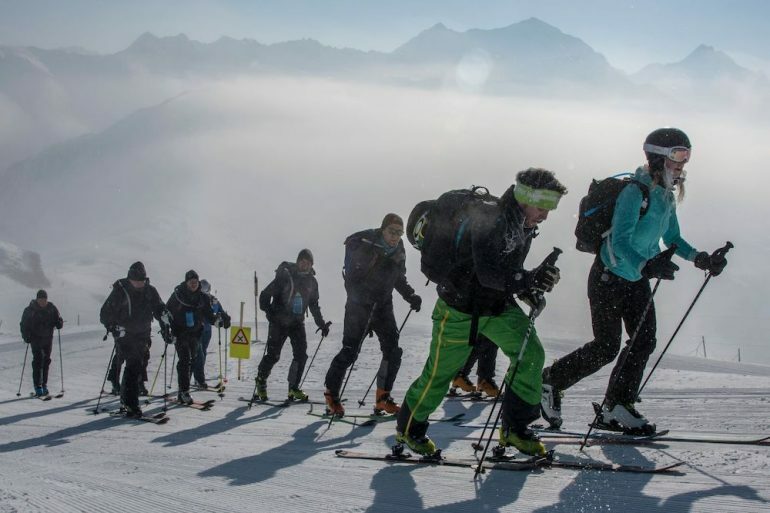 It can’t be easy organising a ski touring event of this magnitude. But former Para Officer, Tom Bodkin and his team from Secret Compass, who Rob commissioned back in 2014 to help run the event, made it look easy. It is run with military precision. Everything is thought of and nothing is left to chance. And after putting on the event three times, they’ve got the organisation of Everest in the Alps down to a tee. Never once was I unsure as to what I was doing. Never did I worry for my safety, thanks to the amazing guides. The organisers even keep accommodation in Verbier in case bad weather prevents us from staying in the mountain refuge. One of the unique aspects of Everest in the Alps are the guides from the Adaptive Grand Slam. The lead guide is Harry Taylor, a former member of the SAS and an IFMGA guide who besides having summited Everest by the most difficult route, has more experience in gnarly places than almost any Britain alive. I honestly can’t think of a more capable man to lead us. And then there’s the charismatic Martin Hewitt, who whilst serving with the Paras in Afghanistan was shot and in the process lost the use of his right arm. 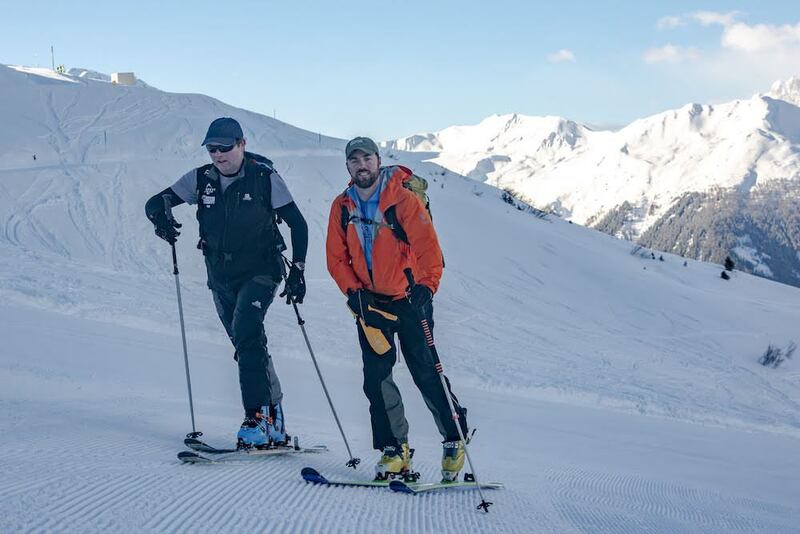 Alongside Harry, the Adaptive Grand Slam is his project – to lead the first disabled team to summit the 7 highest summits and trek to the two Poles. Later in May, he’s making his second attempt to summit Everest. Impressive! Alongside the rest of the guides, Jonny, Tom, Lochan and Nick, we couldn’t have been in safer hands. It’s not often that you find a designated lunch stop during an endurance challenge. But on this epic trip, lunch became the juicy carrot dangling before our eyes. And since we’re starting each day at 6am, by the time we’ve reached lunchtime, having clocked up at least 1200m of ascent (roughly half of our daily target) – we’re ravenous. Cheese features significantly on the menu – but when you’re burning 10,000 calories a day, you don’t care. You just want to eat! 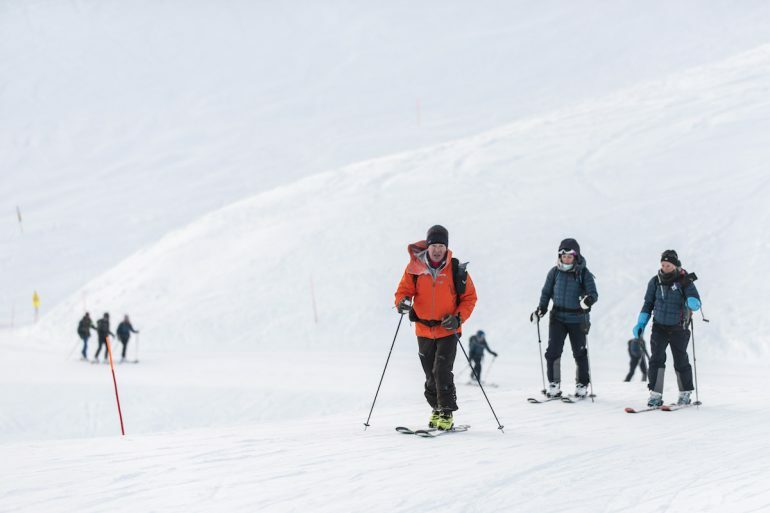 It’s also a welcome opportunity to loosen our ski boots! The first day, we ate at Chez Danny (seen in the above photo), which is got to be one of the prettiest restaurants on the slopes of Verbier. There’s no doubt about it. Climbing the height of Mount Everest on skis is no mean feat. Even over the course of four days. That moment when you reach the final metre – having endured storms, high winds, snow, balmy temperatures down to -10 degrees Celsius – well, it lasts forever. The bond forged on the ski slopes of Verbier will last forever.